When You Can’t Shoot, Sue! Recently, the Angolan ruling party MPLA proposed, in Parliament, that the outgoing President and Vice-President be given absolute immunity from prosecution for any crimes they committed while in office. 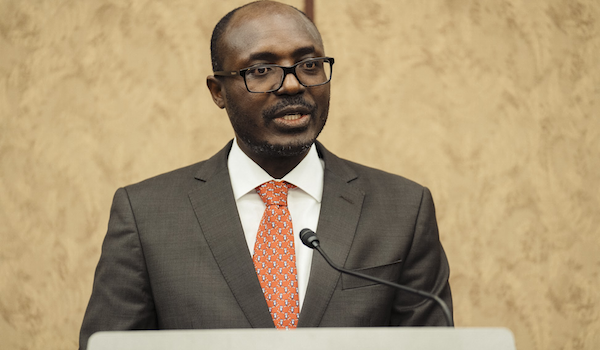 Consequently, within days the regime has launched new indictments against whistle-blower and human rights defender, Rafael Marques de Morais. Rafael Marques de Morais is the fearless, award-winning editor of the online news site Maka Angola. It focuses on investigating and publishing citizens’ complaints about the all-too-common cases of corruption, abuse of power and human rights violations in oil-rich Angola. He has been a thorn in the side of Angola’s President, José Eduardo dos Santos, who has amassed a multi-billion dollar fortune for himself, his family and his loyal supporters in the ruling MPLA party. Meanwhile, only permitting a trickle of the country’s oil wealth to be used for the benefit of the people he was supposed to serve. Outside Angola, the Dos Santos regime is a by-word for corruption and poor governance. 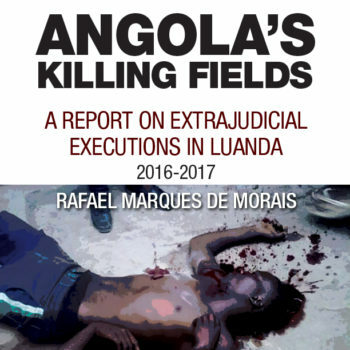 In a country where extra-judicial executions have been common (as reported by Maka Angola), state powers evidently feel constrained from actually shooting those, like Mr. Marques de Morais, who expose dirty laundry. Instead, they harass, prosecute, jail and otherwise do all they can to disrupt their work. It is no surprise that, with just two months to go to the elections, Angola’s President and Attorney General João Maria de Sousa are making yet another attempt to prosecute Mr. Marques de Morais. They must realize that their actions only serves to highlight their misdeeds and brings them to the attention of the wider world. Presumably they hope the distraction will leave Mr. Marques de Morais’ no time or energy to continue reporting on how they flout the constitution and the laws of the country to enrich themselves. Given Mr. Marques’s tireless record in truth-telling in spite of threats against him, this is highly unlikely. As a number of small-sized private weeklies print Maka Angola’s articles, the Attorney General also indicted the director of the weekly O Crime, Mariano Lourenço, for republishing the offending article to send a message: Stop the dissemination of Maka Angola’s exposés, which are broadly disseminated at home and abroad. But Mr. Marques de Morais’ reputation as a person of integrity, with the backing of democratic, human rights and anti-corruption organizations around the world, has given him too high a profile for the wrongdoers to be able to make him disappear. At least not without serious and uncomfortable consequences for the current powers. Shockingly, the lawsuits further serve to highlight not only the Attorney-General’s pettiness, but also his incompetence. (ii) Injury (citing Art. 7 of the Penal Code, when it should cite Art. 410). (iii) Defamation (citing Article 410 of the Criminal Code, when it should cite Art. 407). A robust defense can be offered to all these charges – but that is hardly the point. The purpose of bringing such a prosecution at this time is two-fold: to try to persuade public opinion that the published allegations of corruption and abuse of power against the President and Prosecutor-General are “fake news”, and to occupy Rafael Marques de Morais’ time in the crucial two months before the Angolan election with legal matters, to prevent publication of even more damaging reports. Rafael Marques de Morais rather welcomes these lawsuits. He has chosen to live frugally, ensuring he has no assets worth seizing. And if it goes against him? He already knows what to expect, having been thrown in jail before, in common with all too many Angolan journalists and rights activists. A trial ensures that all the evidence he has published is brought into the public domain again, giving even wider publicity to the reported misdeeds. It’s an echo chamber, repeating the allegations against the powerful so they are carried on the wind to every corner of Angola, amplified as they go. The outcome is worthless to the regime. Imprisoning critics and opponents is a clear admission that they have no confidence of winning in the court of public opinion. In addition, the ensuing show trial only serves to create a ‘cause celebre’, furthering publicity (and embarrassment) for the Angolan authorities. The President and the Prosecutor General have failed to understand that there is no conspiracy against them. Their critics are simply a conglomeration of individuals who decry the unlawful and unethical regime. The whistleblowers may not share the same ideology however, they are working to the same end to: help foment in Angola a civil society that will promote real democracy, good governance, respect for the law and for human rights and justice for all.